Lekala, le sigh: A Pattern Review – Would I Wear it in Paris? I had high hopes that these Lekala pants would fit me right out of the envelope–so to speak. Lekala is an independent pattern company that, for the most part, I love. The styles are interesting and grown-up and some are pretty complex. She pulls inspiration from places like the Armani runway, and they are CHEAP. As in, two or three bucks for a pdf download. In my mind, this is a reasonable price. Oh, AND, the pattern is customized to your measurements. Well, four of your measurements; bust, waist, hips and height. Of course, pants are more complex than that, so I was hoping they’d fit right off the bat, but not expecting it. I had to let out the hips and take in the waist and drop the back curve a wee bit. One thing I did NOT have to do is shorten the rise. I did shorten the inseam, but I may regret that later. I ordered the pattern sans seam allowances which is my preference these days–I find it easier to make changes to the pattern that way. 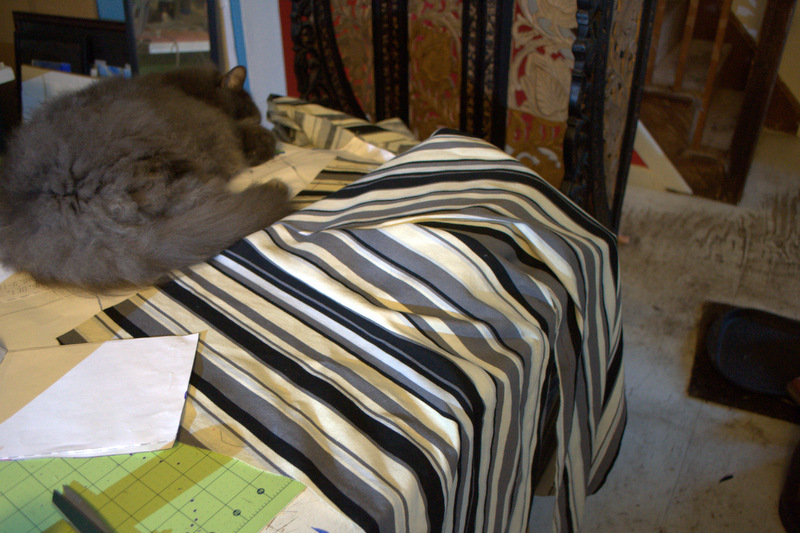 The pattern itself–well, if you are a beginner seamstress forget it. The instructions are hopeless. No images or diagrams, and they refer to ‘valances.’ I have no idea which piece is the valance. The pieces are not numbered and there are a few waistband pieces I wasn’t sure what to do with. (I am on my second mock-up so maybe by the end of it, I’ll know.) There are notches, but they are a little random. There is a fair bit of labeling on the pattern pieces that is cryptic at best. If you know Russian you might have a better time of it. The printing on the smaller pieces is very small and hard to read. I had read a number of blog posts about Lekala earlier this summer written by some lovely bloggers who simply said that the instructions were confusing, kinda like Burda. But I am not lovely. Unless the pattern is simple and basic (or you understand transliterated Russian), the whole thing will be confusing. There will no doubt be many more Lekala makes on this blog in the future! Crappy indoor photo, or Symphony in Grey? I would be pleased if could reply to my comment. I am translating the instructions of this pattern in French for a friend. Could you tell me what this “valance” is? Is it simply a piece of fabric? Oh, dear. They are packed away for the winter. However, I’m pretty sure I didn’t do it exactly right. I had a couple of pieces left over when I was finished. The instructions are unclear in English and without diagrams, it is difficult to picture what is going on. 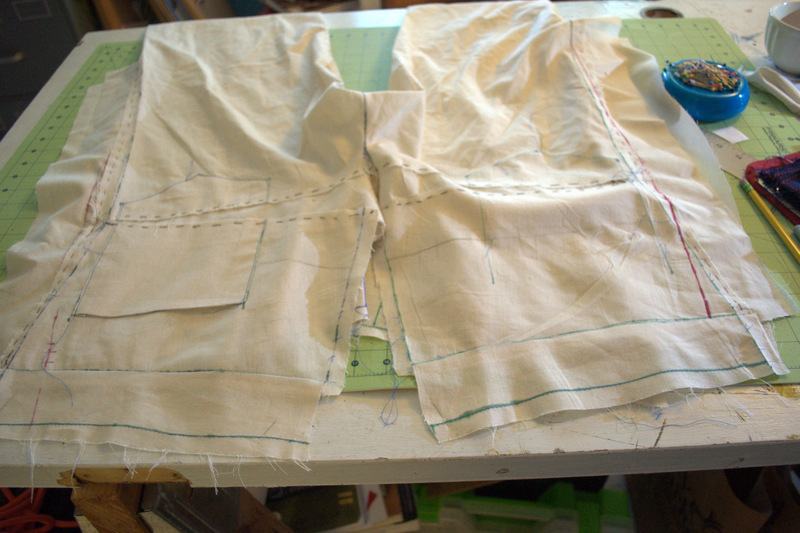 If you or your friend are able, I suggest sewing a mock-up first and working out the directions as you go.